Every adult wants their skin to reflect their youthful inner spirit, but plastic surgery and injections aren’t for everyone. That’s why women and men alike consider non-invasive wrinkle-reduction treatments with state-of-the-art laser devices like Elite+™ Aesthetic Workstation by Cynosure®. 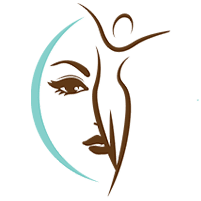 If you are looking for anti-wrinkle services, it’s time to visit Total Wellness Medical MediSpa in Prince George's County, Largo, Maryland. The laser’s concentrated power penetrates the top layers of your epidermis and breaks down its aging sub-structures to stimulate the growth of newer, healthier elastin and collagen. Your body will naturally flush out the older, damaged cellular materials, leaving your skin stronger and visibly rejuvenated from the inside out. What are the benefits of laser wrinkle reduction? How effective is wrinkle reduction? Many women and men only need one session to smooth wrinkles and lines on their face, neck, arms, and hands, but you may require two to five laser treatments to remove your deepest lines and weakest tissue. Wrinkle reduction using Elite+ laser technology strengthens your inner layers in 30 minutes or less, on average. For proof, just check the mirror within a few days and you’ll see a younger-looking you. It’s common to experience a tingling sensation or an amount of warmth as the Elite+ laser pulses over your wrinkled skin, but most women and men don’t describe the sensation as being painful. At your request, numbing creams or cooling gels are rubbed into your skin before, or at any point during, the procedure to increase your comfort. Possible side effects include mild swelling or redness for two or three days, but ask your Elite+ skin revitalization technician for complete details. They also advise you on how best to prepare for your appointment to minimize the likelihood of discomfort during recovery. If you’d like to turn back the clock on your outer beauty, then call Total Wellness MediSpa or book an appointment online for erasing your wrinkles.